To some, a boat is just a hole in the water that you throw money into. They say their happiest days were when they bought it and when they sold (or sunk) it. True boaters call these people landlubbers who never found their sea legs, felt the power of the tides or navigated to the call of a sailing wind. Imagine relaxing in the warm sun, ­being lulled into serenity by the motion of the waves, charting a course through waterways that display a panorama of nature’s beauty not seen from land or air, and savoring the briny scents and salty drops that spray up with each dip into the sea. Whether sailing or motoring to lounge, fish, snorkel, or simply watch sea life and birds at sunrise or sunset, the Shell Point marina at Shell Point Retirement Community in Fort Myers, Florida, is home to some avid boaters who choose to cruise their way to tranquility each fine-weather day. Boating represents the freedom to discover new worlds. But boating is more than a joyride to someone like Ron Terciak of San Carlos Bay Sail & Power Squadron/22, and the Shell Point Boat Club. 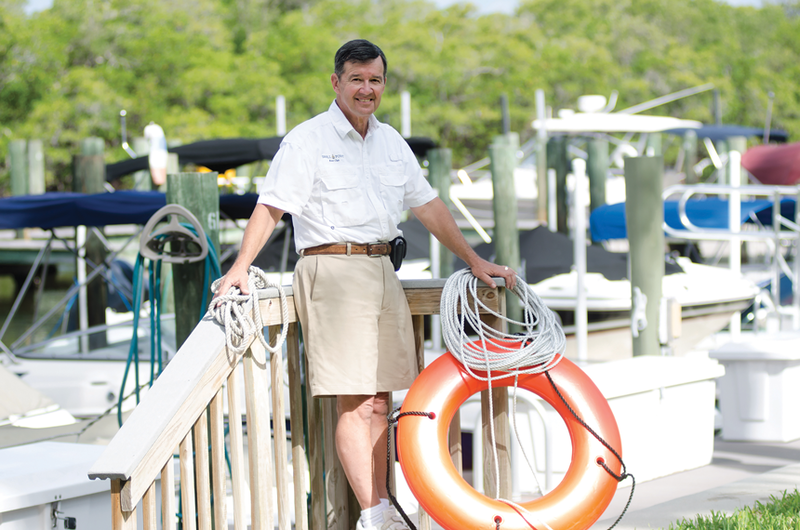 Known as “the safety guy,” Ron has a trusted reputation with other Shell Point boaters as someone who can help ensure your boating experience is as safe as possible. He always recommends other boaters take one of the monthly boating classes USPS offers at the squadron level. Ron and Carole Terciak are members of San Carlos Bay Sail & Power Squadron and the Shell Point Boat Club. 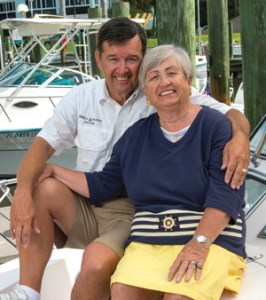 A resident of Shell Point for almost 10 years, Ron and his wife, Carole, were attracted by the free boat dockage at the marina on campus. Their 23-foot Grady White, Irish Rover, has a 225-horsepower outboard Yamaha engine and a Cuddy cabin that keeps things dry. “It’s an extremely well-made boat and handles well in rough water,” Ron said. 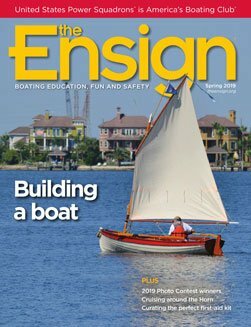 Rather than relive his varied boat experiences, Ron prefers to talk about, teach and examine the safety features of boats. He recently returned from a volunteer vessel safety check requested by Dee Whited and Lee Moore, owners of a catamaran named About Time. Ron recently scheduled an excursion with friends, traveling 75 miles for lunch near Marco Island. “You don’t have to have a big boat to go far around here,” he said, although Ron has advanced skills that allow him to navigate with a sextant by observing the stars. For more information on Shell Point Retirement Community, visit shellpoint.org. Editor’s note: This article first ran in the May 2015 issue of Shell Point Life and was used with permission of Shell Point Retirement Community.